The summer course “SeGRID” will soon be under way. Its focus is digitalisation of public administration, for sustainable and democratic e-government. SeGRID stands for “Sustainable e-Government for Resilient and Innovative Democratic Public Administration”. E-government is a broad concept, referring to the use of digital technologies in public administration, as well as the democratic processes that are involved in digitalisation. The course is intended for people with at least a master’s degree, who work in public administration or political organisations in Eastern Europe. Elin Wihlborg, course responsible.“The course explores the digitalisation of society, and LiU is a leader in this field, creating knowledge of democratic digitalisation. It’s mainly in the disciplines of political science and computer science that we work with these issues,” says Elin Wihlborg, professor of political science at the Department of Management and Engineering. It’s about both democratic processes and how digitalisation changes public administration. As new technical solutions are developed, the processes relating to digitalisation must be transparent and have the trust of the citizens. These aspects of e-government will also be considered in the course. 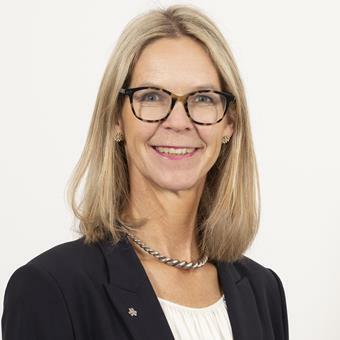 “According to a decision of the Swedish parliament, part of Sweden’s foreign aid must be focused on democracy, and we are contributing with knowledge and research regarding democratic administration, where Sweden is currently at the forefront,” says Elin Wihlborg. The course includes study visits; this year they include Örebro University, with which LiU has close research collaboration, as well as the Swedish Transport Agency, where information security will be discussed. Other course components include the secure management of information, and GDPR, the EU’s data protection regulation, giving the students further knowledge of what applies in the EU. “When the Swedish Transport Agency outsourced some of its work, there was a breakdown in information security. 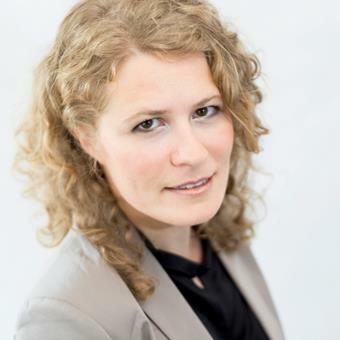 We want to create an understanding of how information should be managed, and we see that in the countries aspiring to join the EU there is an interest in doing this correctly, from the outset,” says Elin Wihlborg. SeGRID takes place August 6th to August 17th and is offered within the framework of the Swedish Institute’s programme “Summer Academy for Young Professionals”. This year the course has 40 participants from four countries in the Baltic region, as well as Georgia, Moldavia, Ukraine and Belarus. See what previous participants and organisers say about the course.